A look at the talking points that emerged from the five-match series, from India’s perspective. There is no shame in losing a Test series in England. Especially one as entertaining as the five-match series we just witnessed. Sure enough, the scoreline is not much different from what the predecessors of this team went through. But the fact of the matter is that India were a couple of good sessions away from turning the results around in this series. Of course, it would be easier to take the stand stated above if the expectations were not drummed up to a high before the series began. Being the World No 1 ranked Test side, India should not be talking about just competing, but — as Virat Kohli said after the fourth Test himself — find ways to convert good performances into positive results. As compelling as the series was, the fact remains that India lost another Test series in England by a rather convincing margin. Here’s a look at the talking points that emerged from the five-match series, from India’s perspective. If insanity is repeating the same thing over and over again, expecting a different result, then this Indian team management deserves a place in the fictional Arkham for their persistence with Shikhar Dhawan as a Test opener. Dhawan’s scores in this series read: 26, 13, 35, 44, 23, 17, 3 and 1. While that in itself should be enough to settle a debate as to whether India should continue investing in him, his record of being dropped half-way through an overseas Test series should be the final nail in a coffin. It happened in England last time around, it happened in Australia, it happened in South Africa again earlier this year and yet again, in this series, he was dropped after the first Test. That Vijay looked more clueless than Dhawan is the only reason he came back into the XI and finished the series. If India are really serious about competing in Tests overseas, where an opener will give them some sort of a foundation, we are in the ‘enough-is-enough’ territory with the Delhi opener. There was a strong case to even try out Prithvi Shaw in the final Test with Australia in mind, but now that he has been given enough chances (this cannot be stressed enough), it’s time to move past him. Dhawan’s troubles at the top were also symptomatic of the issues faced by the Indian top order in general. Like Greame Swann said at the end of the fifth Test, you are not going to chase down this sort of score if you end up losing three wickets cheaply at the top — as it happened in all three matches where India batted in the fourth innings. This isn’t to say KL Rahul and whoever is chosen as the next opener will fix India’s troubles, but at this point, what have they got to lose? After 60 wickets in the three Tests in South Africa, the Indian bowling attack picked up an impressive 82 wickets in the nine innings they bowled. 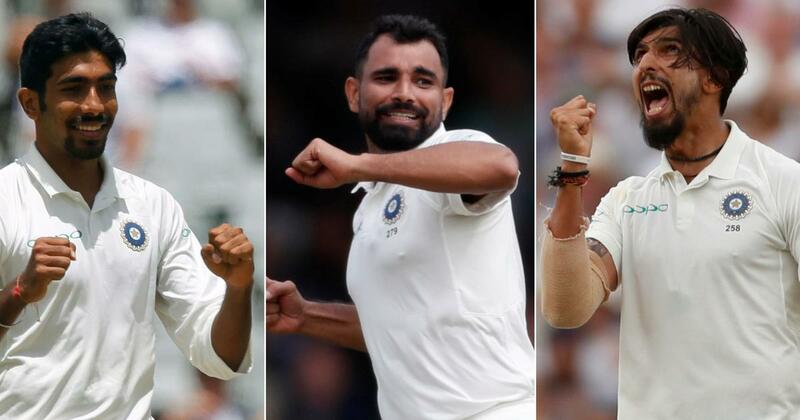 The quick bowlers accounted for 68 of those wickets, with Ishant Sharma leading the way with 18, Mohammed Shami with 16 and Jasprit Bumrah, despite playing just three Tests, finishing with 14. 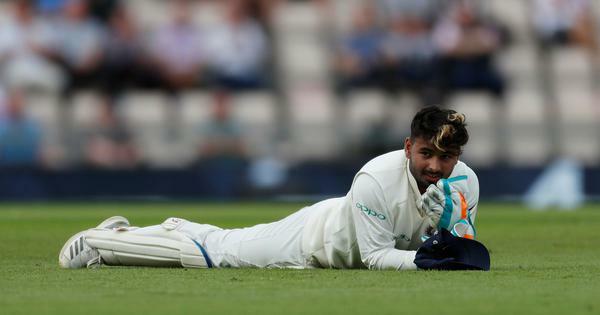 Even Hardik Pandya chipped in with a five-for in that impressive win at Trent Bridge, finishing with 10 wickets overall. As detailed in this piece, the numbers racked up by this pace attack are second to none in India’s Test cricket history. And all this, without the services of the best bowler from the 2014 tour, Bhuvneshwar Kumar. Just like they showed in the first innings of that final Test, this pace attack has the capacity to bring India into the match even when the conditions are not in their favour. Any team would think twice and then think again before welcoming India with seamer-friendly pitches here on out. That, right here, is the best compliment this pace attack can be given. If the South Africa series started with the controversy of Ajinkya Rahane being benched in the first Test, it was Cheteshwar Pujara’s turn in the first match of this series. Truth be told, however, there was enough substance (for a change) for the team management to take that call ahead of Edgbaston. Not that it makes them right or wrong, but Pujara’s struggles in the County season beforehand and in the solitary warm-up match might have forced the think-tank’s hand in taking that call. Even Pujara had a sheepish grin on his face when Nasser Hussain asked him after his 72 at Trent Bridge whether the County stint did him more harm than good. But ultimately, he recovered decently to post a century and a half-century in this series. But the real concern for India when it comes to Pujara is how technically deficient he looked against the moving ball directed at his stumps — for a No 3 batsman to get bowled and LBW as often as he does is a problem that needs immediate remedy. And then there is Rahane. The man who was seen as the lynch pin of this side when the last overseas leg ended, has somehow become so short on confidence that he feels like a walking wicket when he comes out to bat. He did show the character to get his eye in and improve as the innings went on a few occasions, but for the supposed second best batsman in the side, Rahane’s contributions didn’t prove to be telling enough. Ultimately, if India’s biggest regrets from this tour would be failing at Edgbaston and Southampton, the inability of either of these two to play the perfect foil to Kohli and take the team home would be at the heart of it. There was one number which dominated all the pre-series chatter. One hundred and thirty four. The number of runs Virat Kohli had made during the previous tour of England had become iconic for the number of times it was repeated in the build up. And what does Kohli do? Go past that tally in the very first innings he played in this series. The 149 at Edgbaston in the first Test was an innings of grit and determination, as much as it transformed into a flamboyant knock towards the end when he was batting with the tail. With some help from the English slip cordon along the way and seeing off a wonderful spell of swing bowling from James Anderson, Kohli exorcised the ghosts of 2014 in one go. By the end of the first Test he had scored 200 runs, all by himself — a feat that he would repeat once again at Trent Bridge. Despite the golden duck in the final innings, despite falling 7 runs short of 600, and despite (in his own words) the regrets of not taking his team past the finish line in Birmingham and Southampton in achievable fourth innings chases, there is no doubting that Kohli has conquered his personal ‘Final Frontier’ of succeeding in England with the bat. Now, let’s talk about Kohli, the captain. Nasser Hussain talked about this on more than one occasion during the series — Kohli’s tendency to follow the ball on the field. The ball goes through the air in the gully region, place a gully the next ball. The ball is crunched through point for four, place a deep point soon after. The way India bowled at the lower order batsman was another major factor in this series and two things stand out in this respect. 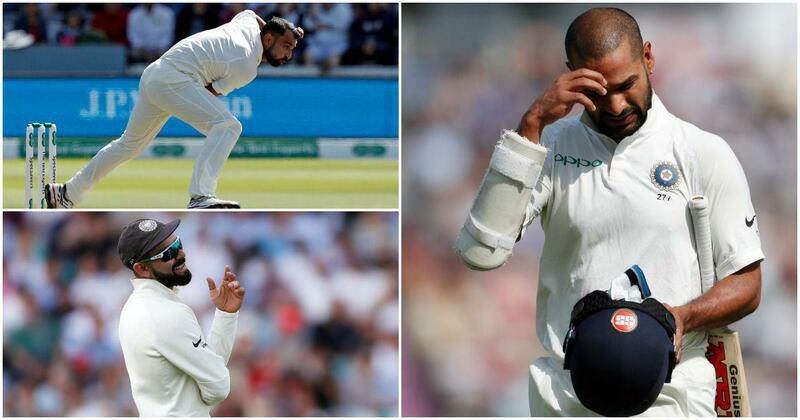 When Sam Curran hit R Ashwin for a few hefty blows at Edgbaston in the first innings, Kohli immediately took his in-form off-spinner out of the attack and Curran went on to play a significant hand in prolonging England’s innings. And later at The Oval, when Jos Buttler was batting with the tail, the field placements were all over the place, as were the tactics. While flexibility as a captain is good, such a tendency betrays either a lack of confidence in his original tactic or a tendency to abandon ship too soon. Both not ideal in a Test match cricket. And finally, India repeatedly failed to read the conditions correctly and paid the price in this series. While not playing an extra batsman in the early stages is a continued flaw, selecting Kuldeep Yadav at Lord’s as the second spinner was a rare blunder that even Kohli owned up to. So was not selecting a second spinner at Southampton, when England went with two and played their cards early. While it is one thing for Kohli’s team selections to be intriguing and sometimes from the left field, it is another to not read the conditions properly and pay the price for that. For a man who talks about the controllables and uncontrollables a lot (like he does at the toss, rightly), this was an area Kohli and India could and should have fared better. Like we mentioned earlier, the result would not feel like a thrashing if the expectations were not dialled up by the team management talking about being a great travelling team. And yes, we are talking about head coach Ravi Shastri here. It shouldn’t really come as a surprise but every time Shastri has spoken to the media, he’s been keen to hype up this current team. His remark that this Indian team is better than any travelling team in the last 10-15 years (when that includes Rahul Dravid’s team that won a series in England) was a clear diversion tactic aimed at deflecting the attention away from the team. Jose Mourinho would have been proud. But even otherwise, his pre-series claims that this Indian team wants to be the best of this era when it comes to overseas performances, and the big talk about focussing on the opening batsmen laying the foundation for the middle order, and trusting Pujara to deliver and then dropping him for the first Test – there’s a chasm between the words that come from his mouth and the reality of this Indian team. As detailed in these pages after the series defeat, it’s time for a reality check, but one wonders from where the accountability would come for the Shastri-Kohli axis.